“Anniversary Reaction” is a term that describes an emotional reaction to the memory of an event on or near the calendar date of a trauma, or when the surrounding circumstances are similar to the “feel” of the time a trauma occurred. The idea of the anniversary reaction is relevant to me this time of year. Both my parents died in February, six years and one day apart. This time of year is a nostalgic, sometimes troubled one for me, often involving strangely emotional days with no immediate explanation. Since it’s been decades since either of my parents’ deaths, it is odd to still feel the sting of loss so profoundly. It’s not that I am deeply grieving; rather, the season just leaves me melancholy. I’ve bounced back and forth in coping strategies for my emotional response–some years I take the days off work entirely, listen to sad music and loll around or read all day. Others I try to “buck up” and get on with my life. I rarely succeed with the “soldier on” mentality–usually my body makes the decision to grieve for me, and I catch a cold or in some other way become physically incapacitated. So I now try to honor this feeling. I give myself time. If I cannot schedule a whole day of reflection, I take half days several times throughout my “season of grief.” I’ve given up fighting the intermittent eruptions of tears, though I sometimes forget why they come up for a day or two. I’ve also stopped trying to decide what the emotion means. A quick search of “Anniversary Reaction” on the internet shows different approaches to dealing with it. 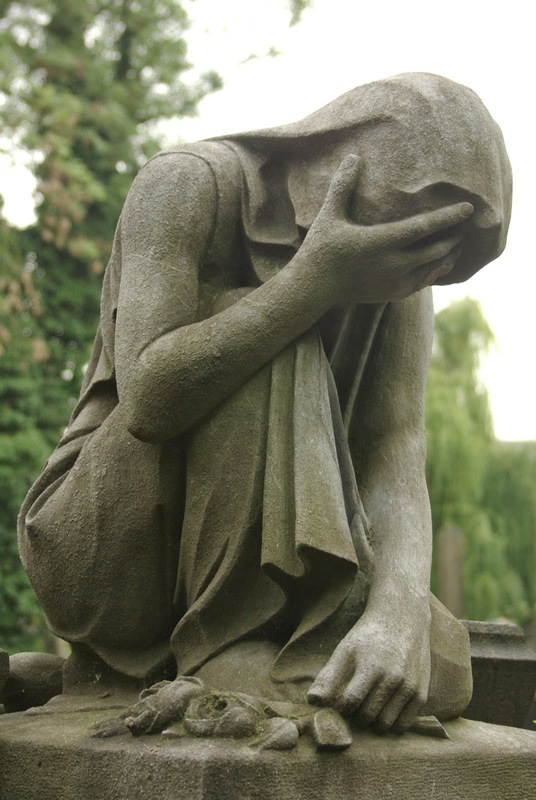 Some define it as “an individual’s response to unresolved grief resulting from significant losses.” Until it is gone you should consider your grief unresolved. Others take a more peacefully resigned approach, seeing the anniversary reaction as a natural part of grieving for some people, and suggests using each year’s emotional upheaval as a chance to remember your loss, reflect on your life, and allow yourself to grow emotionally. Of course, if an anniversary of a traumatic event or loss leaves you incapacitated or hopeless to the point of severe depression, all professionals say that getting some form of professional help is critical to your well-being. But for people like me, who have a long wave of nostalgic, not-entirely-unpleasant grief around a loss, an anniversary reaction can be a chance to reconnect with your history, with your family memories, and with your life outside of work and daily responsibilities. These “time-outs” from day-to-day struggle are important in our culture of constant distraction and busyness. Honoring milestones and touchstones helps us to stay connected to what makes each of us unique. If you have a special anniversary of an event in your life, I invite you to treasure that memory, even its tears. Embracing the hard times in your life allows you to grow from them. If the event is the loss of a loved one, going over the good and bad of your time with the person will help you be kinder to the people dear to you now. If the event was a horrible trauma, remembering your survival can give you strength in your present trials and remind you that you have a life to use in whatever way you feel reflects you and your values. And if you survived something that others did not, it gives you a chance to honor those memories and those people. Each person must find his own way to approach the anniversary reactions in his life. What has worked for me is a gentle homage to people very important in making me who I am today, and a resolve to treat the remaining people I love as the dear treasures they are.